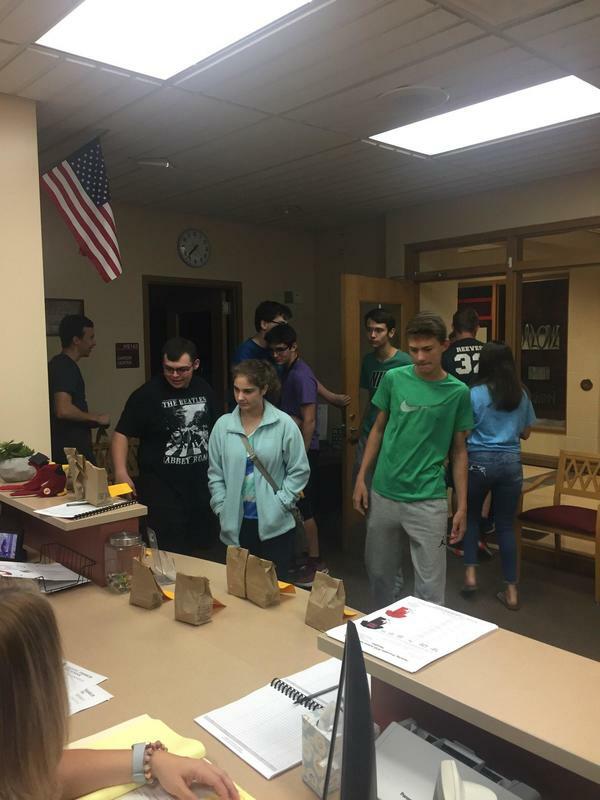 The first quarter interim grades for the high school were sent home with students on September 21st. 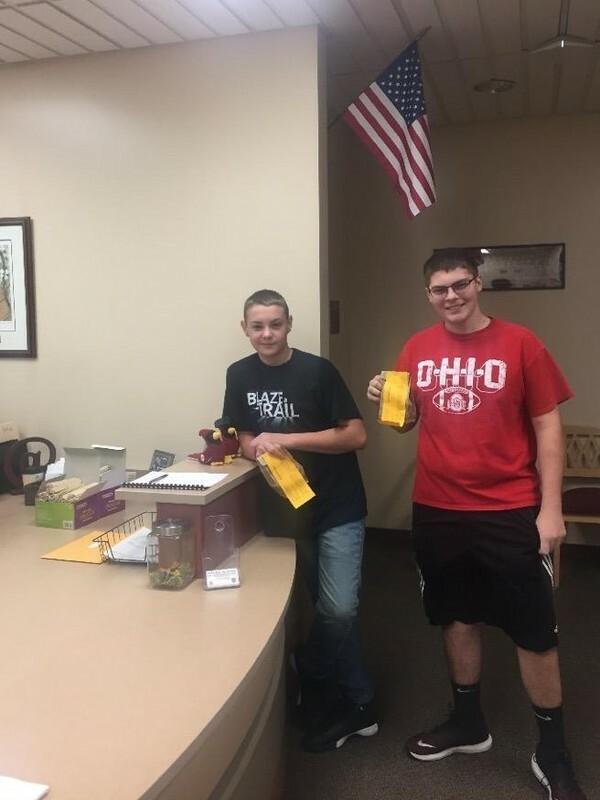 Those students who had PERFECT ATTENDANCE (0 absences and 0 tardies/early dismissals) were recognized for their efforts. For the first quarter interims we had a record-setting 94 students with perfect attendance! We think that is AWESOME! 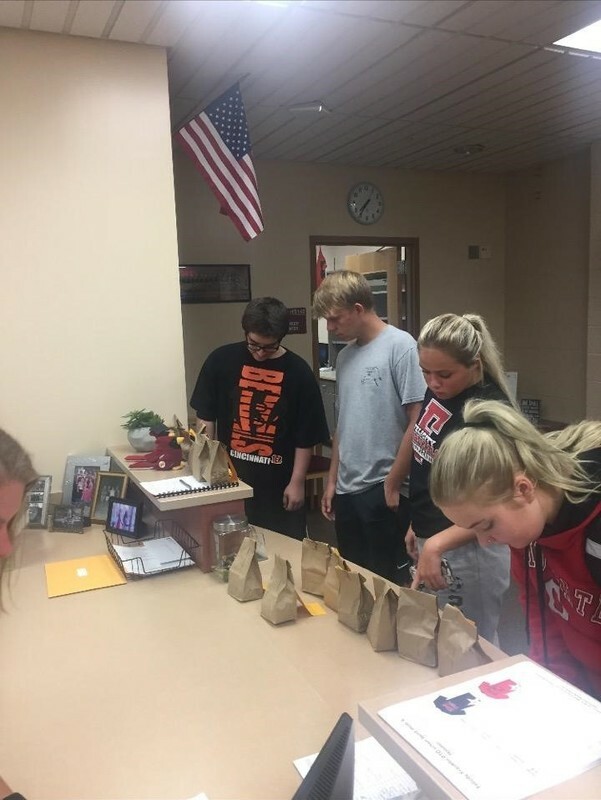 Each student received a treat bag that also included a GOLDEN TICKET! Each student with a Golden Ticket had the opportunity to move to the front of the lunch line! Inside each treat bag was a note praising the student for being here EVERY DAY and another incentive. The additional incentive will be an invitation to a PERFECT ATTENDANCE GRILL OUT for all students who complete the first quarter (October 19th) with perfect attendance! Congratulations to all of the high school perfect attendance winners! We love having you here at school EVERY DAY!